I am thrilled to announce that I won last month’s drawing from Veronica Glynn’s One Dog Organic Bakery. The box arrived yesterday and I was so excited to see what was inside! 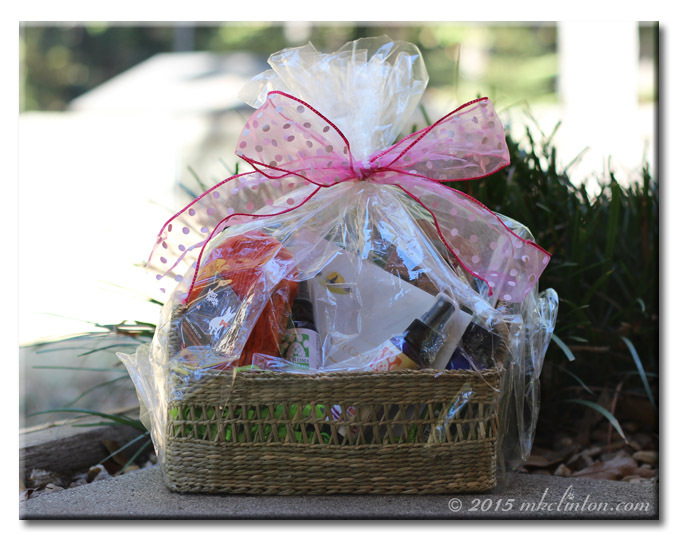 It was an actual gift basket complete with a beautiful pink ribbon. Bentley and Pierre were all noses when I took it out of the box. There were some extra goodies that I was not expecting. I thought it would be just a couple of bags of cookies. Oh no, not by a long shot. I opened my basket to find so many awesome products. 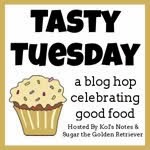 The main treasure was the delicious homemade gourmet dog treats with certified Organic & GMO-Free ingredients. They were in a cute holiday tin divided into three different compartments full of cookies! This was such a treat and I can’t wait to try everything. If you are searching for the perfect gift for the pets on your Christmas list, this is the place to shop! 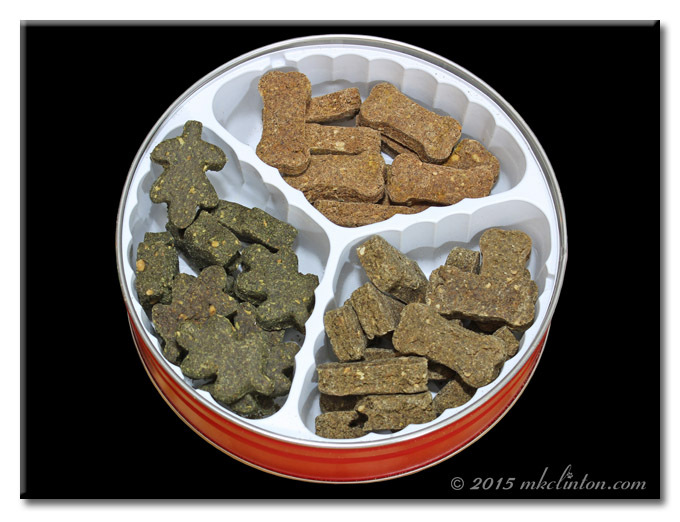 There's a variety of recipes that you can order and they will even customize a cookie for your pup. Many of the recipes have ingredients that can help relieve symptoms that have our pets suffering from itchy skin or other ailments. Do you need another reason to shop there? One Dog Organic Bakery donates a bag to a rescued dog for every bag that they sell. I love companies that give back to those less fortunate. Veronica shows that sharing is caring and does a terrific job. The main thing about these cookies is the taste. Bentley and Pierre are fans forever. They tried each flavor and I can honestly say they loved them all. These will definitely be on my list of must-have treats for the boys. Be sure to follow One Dog Organic Bakery on Facebook, Twitter, and Instagram. *I was not asked to write a review for this prize. I was very impressed with the quality and presentation of my basket. I will definitely order from this company and felt my readers would benefit from knowing about them. One Dog Organic Bakery is not responsible for the contents of this post. Kol's Notes and Sugar the Golden Retriever. Oh look at that amazing basket!!!!! AND all those yummy treats inside, just pawfect! That is a wonderful baskets, I love baskets full of goodness. That would make a great Christmas present to the friends with doggies. Wonder if she does a cat edition. I will go check.Thanks for the great review. Looks real pretty with the fancy pink bow. Enjoy all the goodies! Wow. A nice full basket for sure :) It is so nice they give to rescues so the pups there can enjoy some treats while they are waiting for their forever families. Pierre and Bentley, looks like you won big!! Such a good looking basket of goodies! What a wonderful basket to take when visiting a dog . . . like me! What a great basket full of wonderful stuff!! How cool you won a gift basket from them. I just went to their website from your article and bookmarked it so I will remember to go back to buy gifts for friends dogs from them. I love that you wrote that the have recipes that can help with ailments like itchy skin. Wow! What a pawsome prize! This sounds awesome!! Share your basket, lol! Oh what a fabulous package!!! Woohoo! Lucky you! We love One Dog Organic Bakery dog treats! What a nice prize! The crew loves their treats too, I need to order some more.